Fact sheet providing information on Women who are pregnant, children and infants. Women who are pregnant or planning a pregnancy should get tested for HIV as early as possible. 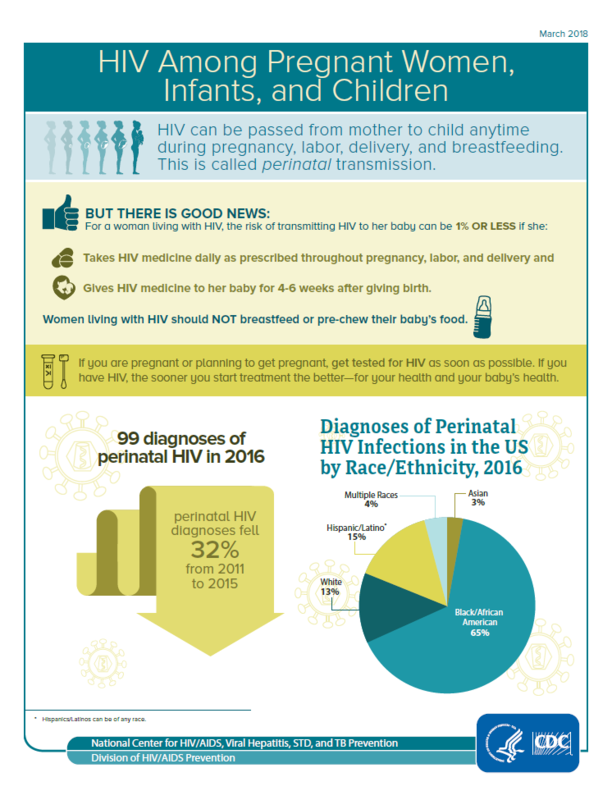 If treated early in her pregnancy, a woman’s risk of transmitting HIV to her baby can be reduced to 1% or less. For children living with HIV, starting treatment early can help them live longer, healthier lives.